I always want to say - How adorable is this logo of Stitchy's!!!! Today's post is for OSAAT and is an easy shmeasy one...fleurs. Who doesn't love flowers? There are gorgeous images available to use with flowers - in fact some images are flooded with flowers and don't demand you using many of your own, should you not own too many. 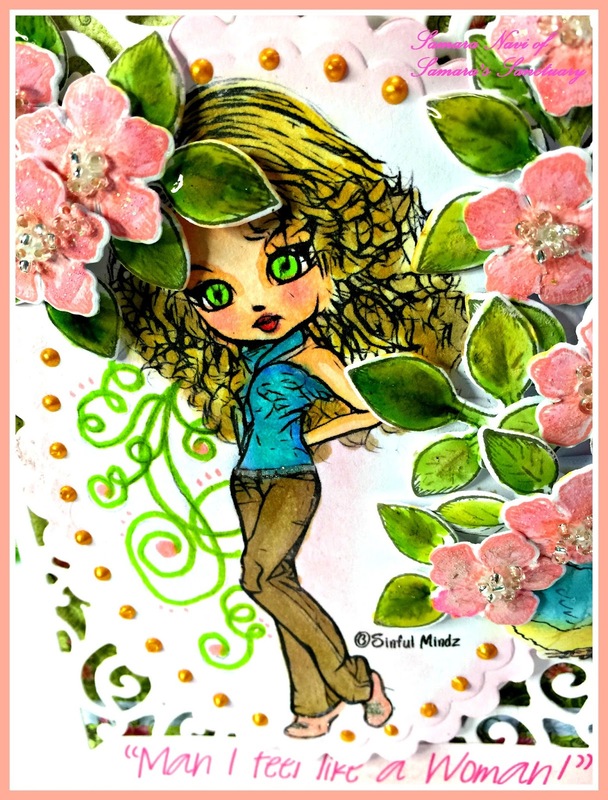 You can go to Google and look under FREE PRINTABLES as a way of getting an image to use as well. The winner will get the 5 Image May Kit, shown below. Gorgeous! And our Sponsor is the wonderful Stitchy Bear Digi Outlet. You have until June 13th to enter the challenge so Hop to It! lol - meh, lots of time to get that mojo going. Good luck and see you over there. Nothing needs to be said by me...it is all said below in the Video by Nelson Mandela. Be sure to hop over to IKE'S WORLD CHALLENGE and play along with us and grab IKE'S FREEBIE if you'd like to work with one of her images. Weddings - what could be more stressful (well I guess divorces could be, having gone through one lol - 25 years later I can laugh - sorry) so when I heard the topic over at POP was Perseverence I knew IKE'S BRIDES were the perfect images for me to use. The clothes, the venue, the hair, food, music, flowers - ugh. I say Elope (or at least I did to my Oldest!) But they were very smart and chose a really manageable wedding - one that wouldn't bankrupt them forever. So I hope you like my art for this one and be sure to pop on over to POP and see what the other Guest Designers have done up, using different Artist's digis, and as well Lisa's Team of Artists, who are stellar girls always putting out class act work. Thanks for taking a looksie...and if you are a Spring or Summer Bride.....BREATHE!!! YUM YUM PRIZE AT OSAAT! Sewing truly has been a therapy for me, and for the women I sew with. I found a local sewing club in my area and began by starting a Quilting Class, something I had never done before - and I loved it! When I was 13 - 15 my mother forced me, uhuh forced! to take Singer Sewing Classes and you can imagine what it was like getting me there to make moo moos and tea towels. Little did I know that was only the beginning. Within time I would learn to make suits, jackets and my own clothes for school - and there it began. By the time I was in my 20's I was sewing all my clothes for work and saving a bundle - in the days where sewing was a 'save a bundle' hobby. Today it is an enormously expensive hobby with $10,000 machines and material that is astronomically expensive. So Appreciation for me (next to my 3 cubs) is any type of Art. When I saw Stitcher Fae, done up by BBKakes, it was a no brainer. 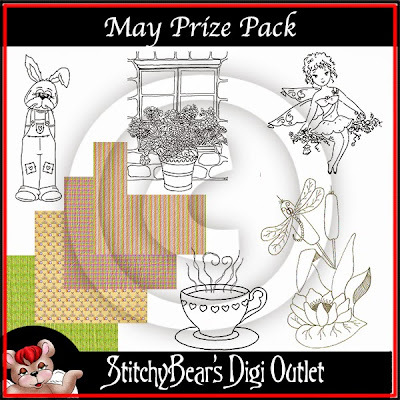 Don't forget to go on over to OSAAT and try your hand to win Stitchy's 5 pack of Images, the yummalicious pack shown above! They are always lovely and worth the entry. It seems like all the wedding materials and embellishments are coming onto the shelves at Michael's Art Store. We had this Theme so I was compelled to match it up to what I was seeing around me - but be very "Naughty (and Nice) in the process. I hope any brides who see this won't be offended! I am sure YOUR future husband is one of the good guys...bwahahahahaha! Hop over to IKE'S WORLD CHALLENGE, grab a freebie and have fun with this one!